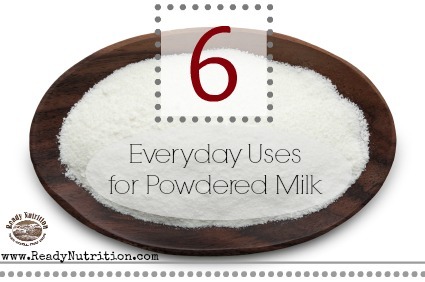 Powdered milk is a prepper must-have! It’s versatility and nutritional value alone are worth it’s weight in gold. Learn tips on preparation, storage and valuable recipes to add to your emergency binder! For long term storage, my family stores powdered milk in sealed Mylar bags. Adding desiccant pouches to minimize moisture will also prevent “lumping” in the powdered milk. Once opened, we store the unused powdered milk in the refrigerator for prolonged freshness. Use the instructions outlined in this article to store powdered dry milk in Mylar bags. I use my dry milk in my homemade cornbread mix ,and my mail eats it liked they’ve not had anything in days! Good to know the tricks. I stored some “add water” only pancake mix in vacuum packed freezer grade Food Saver bags stuffed inside of sealed mylar bags. It has been stored, definitely less than 2 years. It has been stored at a fairly constant 75 degrees. I noticed that the mylar bags appear to be filled with “gas”.. they are puffy like a pillow. I have NO intention of consuming this product now, but would like to hear opinions on what might have caused this and what it might be ? The pancake mix was store bought and contained powdered milk and dehydrated, powdered eggs. Could there have been a bacteria contamination which caused this ? This is my first attempt at storing a product like this and it doesn’t appear to be a “healthy” development.. but perhaps it is normal and not actually dangerous to consume ? Again, I ain’t gonna eat it.. mainly because I don’t have to. Experience ? Knowledge? Opinion ? Please help.. All of the bags that I looked at have which contain this product have the same issue. reacting and that the product is still useable. Have been doing powdered milk for several years. We don’t drink much milk, so we mix a quart at a time. However, I use real hot tap water to mix as it really brings out the flavor and dissolves easier. We can keep a quart for up to six weeks before going bad. I use dry milk in almost all recipes that require milk. 1/3 c of dry milk plus 2 cups of water gives me 2 cups of milk. The only thing I’ve found where it makes a difference is in cream pies. They just don’t set up right using the powdered milk. I don’t keep milk in the house because I just don’t drink it, so this works great for me. After I open the #10 can, I pour the rest of it into several pint jars and then seal them with my vacuum sealer. This keeps them fresh for a long time. Hope this helps. you can make cookies covered with dry milk powder. That’s a good idea. More nutritious than powdered sugar! Will vacuum sealing it into small batches help keep it for a long time (i.e. a year or so)?